A lot of clinics are now offering aesthetic surgical procedures called Mommy Makeovers (MM). As the name suggests, these are cosmetic treatments aimed specifically at moms. Some women are lucky in that they get pregnant, give birth, and then their bodies return to an almost pre-pregnancy state. For most others this is wishful thinking. Nature can be cruel the way it leaves the bodies of a lot of women, it really can. It’s for this reason that someone came up with the idea of the Mommy-Makeover. Singapore clinics have been practicing these treatments for a good while. The MM is certainly growing in global popularity with each passing year. The aim of the Mommy Makeover is to give mom her pre-baby figure back, or as near to it as possible. The tummy-tuck removes all that unwanted loose skin and then firms up and flattens the tummy area. The breast enhancement surgery, if needed, will reintroduce firmness, volume and shape to the breasts. And the liposuction will help to sculpt out that womanly figure that childbirth robbed from her. This is a unique treatment that the surgeon tailors around each mom. In most cases, it will involve the procedures above, to some degree at least. After all, it’s the breasts and tummy that take the biggest hammering. What’s even worse for the woman is that the majority of moms are still young. They might not feel too young as they look down on their body post-child birth. This is where the MM can really come to the rescue. Let us now take a look at each of these procedures and what they entail. The Mommy Makeover tummy tuck aims to repair the midsections that go through the physical wringer during pregnancy. The shape, size and the feel of the tummy takes a beating because of the weight gain and then the sudden weight loss post-birth. Most new moms follow suggestions after giving birth and try to reclaim their bodies through diet and special exercises. This works for some, but certainly not for all. The tummy-tuck can do for a woman what she was unable to do for herself. Some surgeons even suggest a lipoabdominoplasty. This is a more advanced kind of tummy-tuck. It combines cutting-edge liposuction methods with conventional abdominoplasty. When done with a skilled pair of hands, the results can be truly spectacular. A good tummy tuck means you get to say goodbye to loose, redundant skin and enjoy a permanent firmness to your stomach. As for the procedure, the surgeon makes an incision at your pubic bone. There will be some scarring but your underwear and bathing suits will cover that easily enough. The surgeon uses this incision to tighten the muscles. How tight they make your stomach depends on the individual and the skill of the surgeon. In many cases it’s possible to make the stomach very tight if that’s what the patient wants. The tummy can feel overly tight post-surgery though, and a little uncomfortable. Don’t worry, this usually settles down after about two weeks. 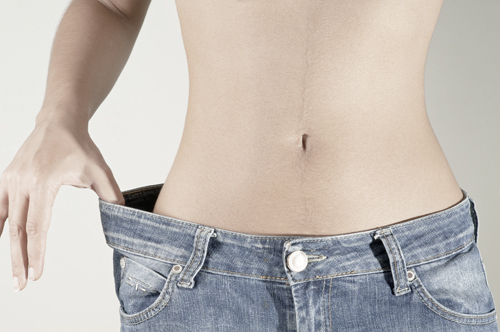 The liposuction safely removes small pockets of body fat. 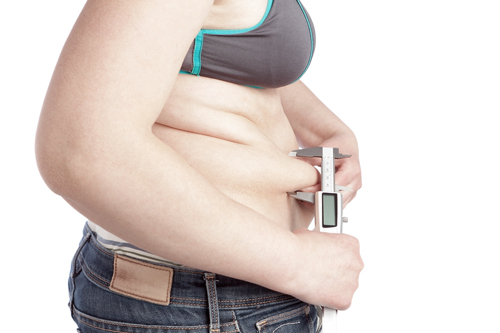 If there’s a lot of fat to remove, your doctor may need to split the liposuction up into two or more sessions. The reasons for this is that it’s not safe to remove too much fat in one go. The safety and legal limit is equal to or less than 5000 ccs (5 litres) absolute max. Technology and treatments are changing all the time, so be sure to check out all your options at the consultation. If you’re a mom with an unsightly C-section scar then prepare for a bonus. 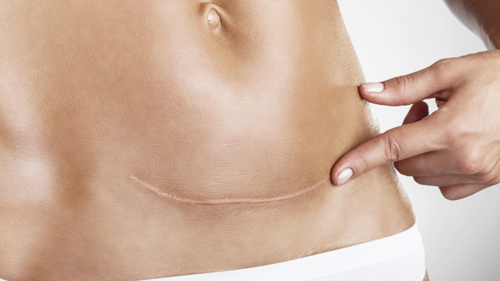 Usually, the surgeon is able to use and/or remove the C-section incision while they perform the tummy-tuck. In the majority of cases, new moms are not looking for bigger breasts. They just want their own breast size and shape back, similar to how it was before they got pregnant and gave birth. For most women, implants (without the breast lift) will restore the breast’s fullness and also add protection. If you want to reposition your breasts, then the lift and implant combination will provide the best results for that. Your doctor will discuss all the possibilities with you at the consultation. Every woman is unique and each Mommy Makeover will be different. It may be the case that you only need liposuction and not the full tummy-tuck. Or perhaps you will fare better with both. Thanks to new technologies, improved techniques and the MM, things are looking up. Now any woman with the financial means can transform her body post-baby with a Mommy Makeover. Singapore is one of the favoured destinations for Asians to have this surgery done. But it’s also a procedure that’s available around the world now. It’s a surgical treatment that’s on the rise, and for very good reason. As long as an experienced surgeon carries out the procedures, this is an effective and complete body restoration for any woman whose body has been ravaged by child birth.